My new favorite track in the world! To be honest, I didn’t know anything about this track until researching the venues for this weekend’s European Cup Combined Events meets that were taking place yesterday and today. The 2nd League meet is being held at today’s track, and when I saw the first pictures, I was blown away. 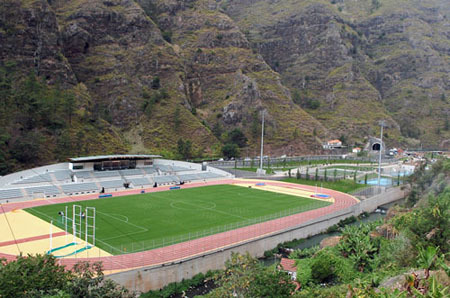 Ribeira Brava is located on the island of Madeira, which is in the north Atlantic, just over 300 mile due west of Morocco, and is governed by Portugal. 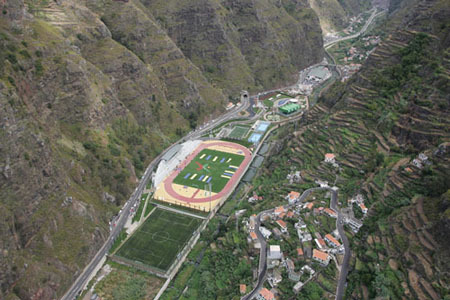 Unfortunately, the Madeira Sports Centre is not on Google Maps yet. It’s on Bing, but very low quality, and you can’t get a true sense of what it is like. There is a slideshow on the Center’s website, and even though they are a smaller size, you will be amazed. Be sure to check out all of the photos HERE. 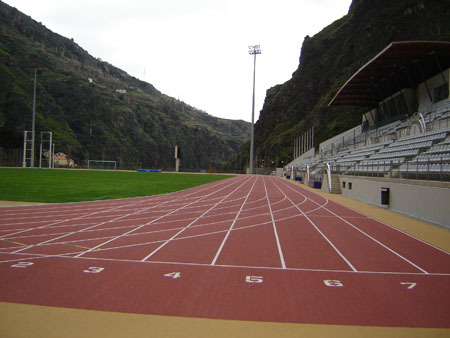 The track is built at the bottom of a valley, and the views from it are like no other track in the world. It’s absolutely stunning. 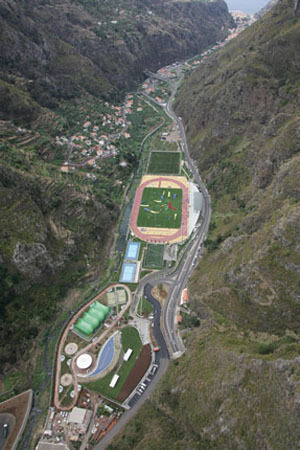 Surrounded by steep cliffs on both sides, the track lies next to the Ribeira Bravo River (rough streams), that carved this valley out of the rocks on its way toward to ocean. This is one track that I would love to see! Just amazing!